Retired, starting an adoptable shop here. I am subscribed to the thread so you don't have to ping me. BLAH, slowly wanting to open this shop again, just fighting my motivation. So, I'm finally taking the plunge and opening an adopt shop for tiny pixel Imperials because I adore them and I actually find it somewhat relaxing to do them. I most likely will not expand to new dragons, but rather make this a fleshed out shop for Imperial adopts. I will say now that I'm a full-time college student so please be understanding if you have to wait! There are a few variations you can choose from regarding the eyes / whiskers. You can choose to have black eyes or coloured eyes (depending on the element), as well as whiskers or no whiskers. On the left is black eyes + no whiskers, on the right is coloured eyes + whiskers. Feel free to add and remove yourself, just please don't remove anyone else! I will accept payment through CR (crossroads), or through PM's though I prefer CR as it's safer for you and me. Do not send me the payment until I have accepted the order, please! Once the adoptable is done I will accept the payment and ping you here with your adoptable. You're free to repost the image as long as you keep the credit on there (although a link to this shop wouldn't hurt ;o ). I will only take one dragon per order unless both dragons are not complex (and by that I mean only one or two SIMPLE apparel pieces). There will be no waitlist, it's a first come first serve. Please be patient with me, I'm excited to open an adopt shop but I also have homework and need time to make new genes and apparel. Once I have the genes and more clothes pre-made, it should be easier to get them out. Slots will not open until I am done every order. Sometimes I may make exceptions but this is the general rule. You should send the CR payment in in roughly 3 days after I accept your order, otherwise I'm gonna give a warning, and if 2 days later you haven't paid, I'll open your slot. I am willing to do adoptable trades with people who have their own shop, as long as the prices are relatively equal. * Although I have a premade gene list, it's just so that you know it won't take me as long to make a dragon with a gene that is there in comparison to one that will need a new gene. You will still have to pay for genes. These include all recolours. Put in alphabetical order. I won't include different colourations of items such as silks. A pair of painted, fur-lined arm guards. A pair of astounding eyes. Black coat, white shoes, black hat, Cadillac. A warm scarf, knit in blue and brown with a touch of flair at the tails. It is said that the wearer of this eye cover gains unfailing courage in exchange for his or her vision. A drab hood of old burlap. It has seen many years and the rope drawstring is frayed at the tips. A pair of lobstered dragonboots, complete with protective kneepads. This set is burnished gold. A series of linked metal segments, perfect for protecting the tail. This set is burnished gold. This square of canvas can be tied into a bandana, perfect for freebooting or a mid-life crisis. A pair of finely-wrought citrine anklets. A finely-wrought citrine eye piece. A functional pair of glasses for the nearsighted dragon. Looking at this makes dragons uneasy. An expert design and rare metalwork make for a truly eye-catching headpiece. There are plenty of ways to dress up a tail, but the 'vision' behind this piece is what helps it stand out. These dark leather boots with sand-caked spurs are the pinnacle of truly gritty western wear. This gold plate is etched with a decorative filigree. The banner proclaims this dragon's commitment to treasure. A pair of worn leather satchels designed to carry rations, coin, and other knick-knacks. They are typically slung over the shoulder. Required apparel for being taken seriously in any scientific field. Subdued beads and tassels are commonly worn by the learned sage. An enveloping coat constructed with a variety of hidden pockets and pouches. A slippery friend, sure to delight your friends and horrify your parents. I wouldn't get in the way of a dragon sporting a pair of these stubborn horns.. The perfect complement to any outfit, this copper necklace sparkles when it catches the light. Peace Doves are said to be the only bird that all dragon breeds refuse to eat. Their presence always portends fortune. A headdress of a primal creature. A pair of bracers covered in coarse fur. They stink of battle and are bound tightly with sinew. A pair of graceful scarlet anklets. A pair of graceful scarlet bracelets. A graceful lattice of scarlet jewelry. A graceful scarlet twist of jewelry. A pair of graceful scarlet wings. A pair of sensitive scarlet antennae. Wearing them may or may not increase a dragon's sense of smell. The perfect complement to any outfit, these darksteel wing cuffs appear to absorb the light. The perfect complement to any outfit, these golden bracelets sparkle when they catch the light. Ring bling for your wings. These bangles shine when they catch the light. A pair of hardened metal pauldrons. These would totally come in handy if dragons actually had defined shoulders. This set is tarnished steel. A delicate necklace strung with a splendid pastel spinel. Gets the job done without any frills. Disclaimer: May get the job done with frills depending on dragon breed. A cascade of violet petals falls around you at all times: inexplicable! A crown woven from fresh violets. Made by a skilled nature dragon, this crown is enchanted to never wilt. Dozens of violets in full bloom have been meticulously strung together to craft this beautiful lei. What differentiates this from a standard white scarf is a subtlety lost on most. Trickmurk Circus 2017. (4/14) Designed by Kaljaia. Starfall Celebration 2015. (3/14) Designed by Ruurin. Flameforgers Festival 2016. (3/14) Designed by Spinaria. * - Not complete, but it has portions of it. All Imperials made so far. [p] means that they have paid. Being striked out means the commission is done. Feel free to ping me if you want to affiliate!! Just place your banner code in the message. These will probably have to be discussed ... considering the value of some of these (scrolls, old festive items), will result in multiple adopts! Most likely if both parties decide to go through with it, I will save your request until I am done with the rest of the orders, and not open any new slots until I am done your order (this is if the order comes to 3+ dragons). If it is only 2 dragons, I will take up two slots for your order and have one slot open for anyone else. My wishlist is in his bio. @Hideki - Hello! 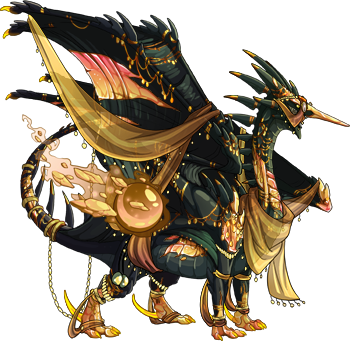 I'd love two slots [b]Dragon: [url=http://flightrising.com/main.php?dragon=2933514] [img]http://flightrising.com/rendern/350/29336/2933514_350.png[/img] [/url][/b] [b]Payment Method: T [/b] [b]Genes: Irishim/Circuit [/b] [b]Apparel: Just the Emblem[/b] [b]Whiskers or no? : No[/b] [b]Black or coloured eyes? : Colored[/b] [b]Dragon: [url=http://flightrising.com/main.php?dragon=5717033] [img]http://flightrising.com/rendern/350/57171/5717033_350.png[/img] [/url][/b] [b]Payment Method: T [/b] [b]Genes: Irishim/Stained [/b] [b]Apparel: Gold Petals[/b] [b]Whiskers or no? : No[/b] [b]Black or coloured eyes? : Colored[/b] Side note, if you do make accent exceptions I'd love to pay extra for that. If not, that's fine too! Side note, if you do make accent exceptions I'd love to pay extra for that. If not, that's fine too! Riot of Rot 2015. (7/14) Designed by Pesticide. 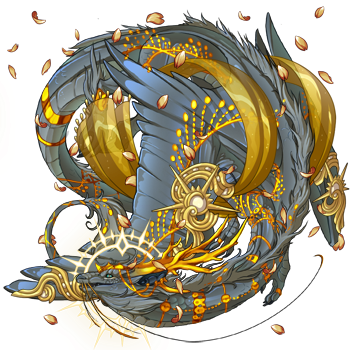 I only do one dragon per slot but since they're both not too complex I can definitely take two for you! As the accent isn't that hard either I think I can make an exception... (I should update that in my rules). 30k + 30k for genes + 15k for the emblem + ... 10k for the accent? I think that's okay. So that would be 85k for Ambassador. 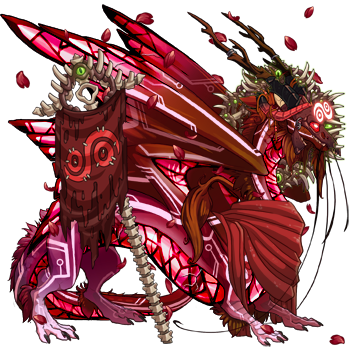 As for her it's 30k + 20k for genes + 15k for the petals and + 10k for the accent, which comes to 75k and a total of 160k for both. 38g + 36g for the genes for a total of 74g.